Often mistaken as a filler, Botox doesn’t fill in the lines and wrinkles. In fact, Botox works in an entirely different way. Once injected into your forehead and around your eyes, the botulinum toxin in Botox works to soften the muscles. Once your muscles are softened, your skin will appear smooth. 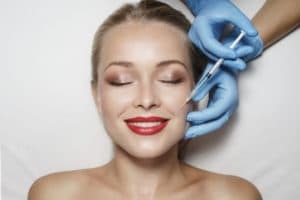 One of the most important things to know about Botox injections is that it’s temporary. Lasting an average of 3-4 months depending on the patient, you will have to have it readministered 3-4 times per year to obtain optimal results. Botox has continued to be the most popular injectable year after year because of the results. By temporarily getting rid of your fine lines and wrinkles, Botox alone can take years off of your face. Patients are so pleased by the smoothness of their skin after Botox that they often can’t believe that those are real results. Although primarily popular in women over the age of 40, as long as you’re over the age of 18 and are in good health, you may be a good candidate. Gaining popularity in both men and women in their twenties, Botox can be used to correct and even prevent wrinkles. To learn more about Botox and whether it’s the right solution for you, contact Papale Eye Center today!